The Russian lawyer of an American man arrested in Russia for alleged spying said his client is in good spirits and intends to contest the charges against him. The lawyer, Vladimir Zherebenkov, told ABC News on Thursday that he had seen Paul Whelan in Moscow’s Lefortovo prison, where the former Marine has been held since he was arrested on espionage charges last week. “He feels entirely fine, he is holding himself with dignity, with confidence, he is acting correctly in relation to the participants in the case, and even with a some humor,” Zherebenkov told ABC News. 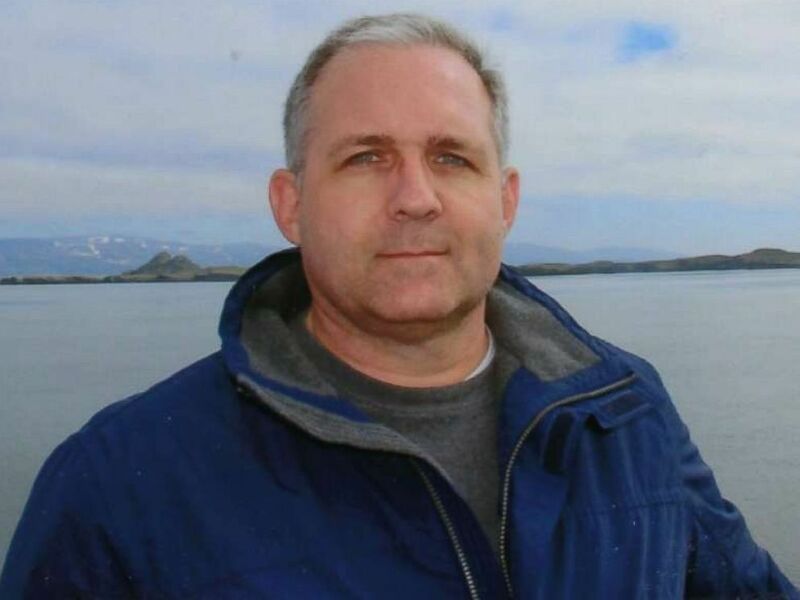 Paul Whelan was detained in Russia on Dec. 28, 2018, on charges of being an American spy. Russia’s domestic intelligence agency, the Federal Security Service (FSB), announced on New Year’s Eve that it had detained Whelan, 48, accusing him of conducting “spying activity” while visiting Moscow. The agency said it had arrested Whelan on Dec. 28 but gave no further details about the charges against him. His family has said Whelan, who grew up in Michigan, was in Russia for a wedding and that it is impossible he is a spy. Whelan’s case has so far remained wrapped in mystery, with no official information about what precisely he is accused of doing. His lawyer, Zherebenkov, said that he had been briefed on the charges against Whelan as well as the details of the case, but that he cannot comment on them due to a confidentiality agreement. He said that Whelan does not accept the charges and intends to plead not guilty in court. The lawyer said he would be filing an appeal on Thursday against Whelan’s pre-trial detention, arguing he should be released on bail. Given the charges against Whelan, however, the appeal will almost certainly be rejected. Whelan is currently being held alone in a cell in Lefortovo, Zherebenkov said, but added that he expected Whelan would be given a cellmate at the end of the Russian New Year celebrations, which run until mid-January. Zherebenkov said that Whelan had requested he be placed with another English-speaker, since his Russian is poor. Lefortovo was once controlled by the KGB and then its successor the FSB, but is now officially under the Justice Ministry. It is known as a place where spies and other high-value prisoners are held. 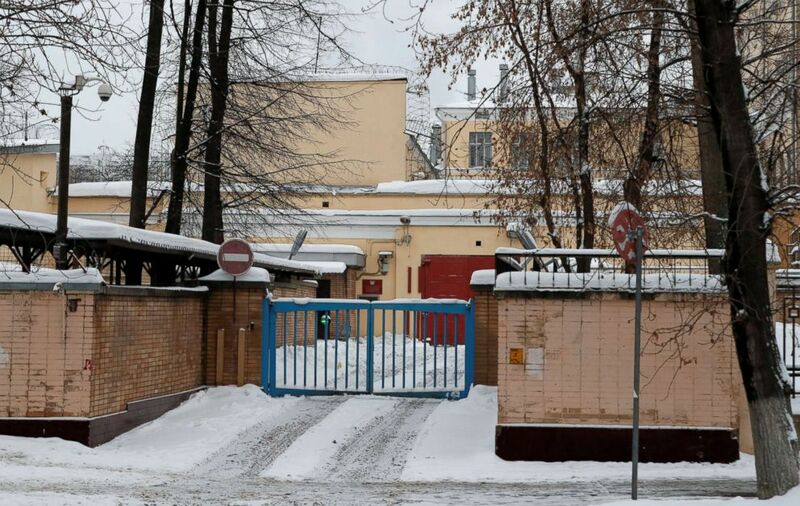 A general view shows the pre-trial detention centre Lefortovo, where former U.S. Marine Paul Whelan is reportedly held in custody in Moscow, Russia, Jan. 3, 2019. Whelan’s lawyer said he was being treated well, noting only that things were moving a little slowly because of the long Russian holidays. The U.S. ambassador to Russia, Jon Huntsman, visited Whelan in jail on Wednesday, after Secretary of State Mike Pompeo called on Russia to provide access to him. Whelan is a former staff sergeant in the Marines, and service records provided by the Marines show he served two tours in Iraq in 2004 and 2006. But in 2008, the records show, Whelan received a bad conduct discharge from the military for larceny charges and was demoted to the rank of private. According to a statement from his employer, Whelan is currently the director of global security for BorgWarner Inc., a large American auto-parts supplier. Whelan’s twin brother, David Whelan, told ABC News this week that he could not imagine his brother would spy in Russia. A self-identified Russophile and a keen traveler, Paul Whelan has travelled to Russia repeatedly as a tourist and for work, his brother said. Whelan has an account on the Russian social media site, VKontakte, which he appears to have used to mostly post holiday wishes and to express his condolences to Russians following disasters, sometimes in Russian. Last week, he was in Russia to attend the wedding of an old friend from the Marines, who was marrying a Russian woman, his family said. He had been staying at the upscale Metropol hotel in central Moscow and had been involved in the wedding party. The group had toured city together, including visiting the Kremlin Friday morning, his brother, David Whelan said. That was the same day, Dec. 28, Paul Whelan was detained. The wedding was that night and his friends become concerned when Paul Whelan never appeared, his brother said. His friends hadn’t heard anything from Paul since 5 p.m. The silence “was very much out of character for him even when he was traveling,” the family said of Paul Whelan in the statement. Some of Paul Whelan’s background appeared to come as a surprise to his brother, who said he had not known Paul had received a bad conduct discharge from the Marines. Russia has yet to publicly give any details of what Paul Whelan is accused of, but on Wednesday, Rosbalt, a Russian news site known to have close ties to the security services published an article with what it said were the allegations. Rosbalt, citing an anonymous source in Russia’s security services, alleged that Paul Whelan had been caught by FSB agents in possession of a memory card containing a classified list of secret Russian operatives. On Thursday, Rosbalt published further allegations, asserting that Russia’s intelligence services believed Paul Whelan had worked as a spy for 10 years, seeking to recruit Russians picked by American intelligence agencies as promising sources with access to classified materials by befriending them on internet forums and then, years later, traveling to Russia to meet them. Russian authorities have not commented on the Rosbalt reports and the claims have not been independently verified. The site is known to publish information it says has been leaked from the security services. Zherebenkov said he had read the Rosbalt reports but could not comment on them, citing the case’s confidentiality agreement. “As for if that will be confirmed, well, there will be an investigation, the criminal case will be investigated, and studied,” the lawyer said, saying everything will be dealt with in court. Whelan’s arrest comes on the heels of that of Maria Butina, the Russian gun rights activist who last month pleaded guilty in a U.S. court of illegally acting as a foreign agent. U.S. prosecutors accused Butina of trying to infiltrate the Republican Party through American conservative organizations, acting on behalf of a well-connected Russian government banking official. Russia has claimed the Butina case is a fabricated witch hunt and has accused the U.S. of taking her hostage for political reasons. That has given rise to speculation that Whelan might have been seized as a potential bargaining chip. Secretary of State Pompeo was asked by reporters on Tuesday if he believed Russia had taken Whelan in retaliation for Butina’s detention. “We’ve made clear to the Russians our expectation that we will learn more about charges and come to understand what it is he is accused of and if the detention is not appropriate, we will demand his immediate release,” Pompeo told reporters at a press conference in Brazil.